Billboard's favorite songbirds flocked to the 2018 MTV EMA Music Awards in style at the Bilbao Exhibition Center in Spain. 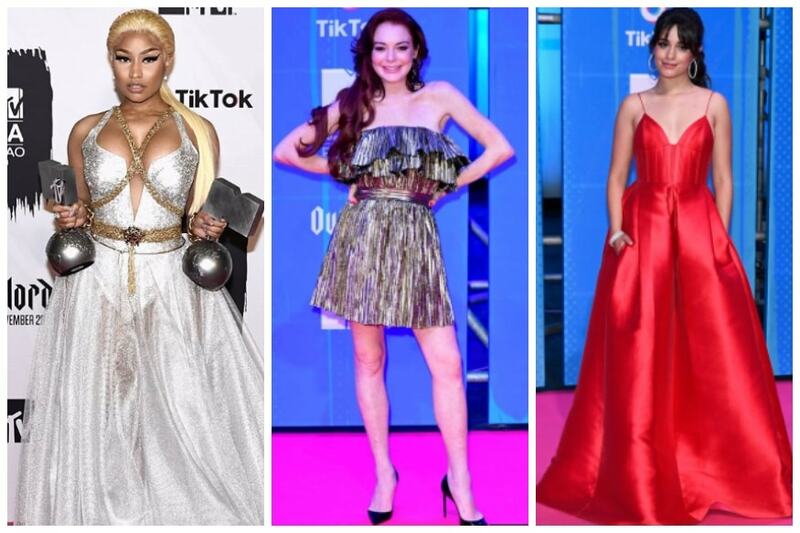 Camila Cabello, Dua Lipa, Little Mix, Nicki Minaj, Janet Jackson, David Guetta, Jason Derulo, Lindsay Lohan were some of the contenders for the best dressed celebrity award. The 'Havana' girl Camila Cabello stole the show in her crimson red dress. From Nicki Minaj looking like a goddess in Donatella Versace gown to Dua Lipa looking enthralling in her plunging neck line Saint Laurent mini dress, photographers were spoilt for choice. Lindsay Lohan made a comeback to the spotlight in her 70's style metallic dress. Needless to say that each of them oozed oomph. French DJ David Guetta was spotted in a black biker ensemble, mainly a leather jacket and boots which was pleasing nonetheless. Jason Derulo, the 'Talk Dirty' singer played with colours in his red and green overcoat and added some extra bling to his look with gawdy gold jewelry adoring his neck and fingers. Scroll through these pictures of the sizzling, talented and dressed to kill artists at the MTV EMA Music Awards 2018.